Simon graduated from the AECC in 2001 and subsequently completed his Doctor of Chiropractic training through the College of Chiropractors. He has lectured nationally and internationally on the subjects of jaw joint disorders, nutrition and trigenics. He has also published articles on the subjects of migraine, vitamin D deficiency, mis-shapen head syndrome (plagiocephaly) and ankylosing spondylitis. 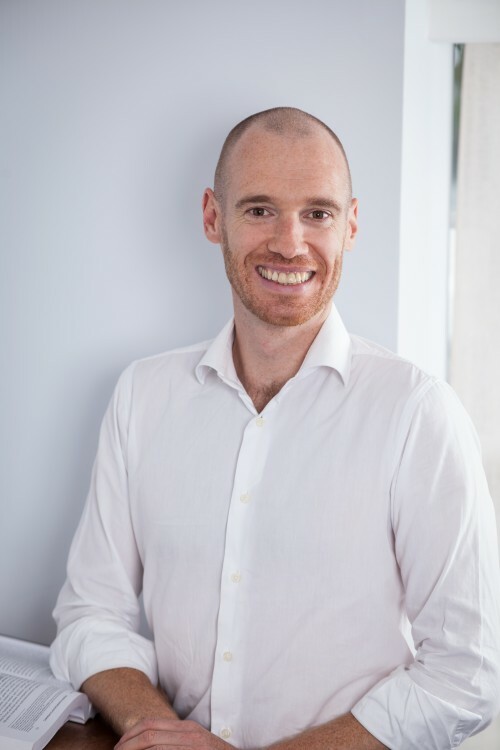 A former elected council member of the British Chiropractic Association and former board member for SOTO-Europe, Simon joined the clinic’s team early in 2003. He is known for his patient-friendly approach and has a particular specialist interest in babies and children, long-term (chronic) spinal conditions, headaches and jaw joint problems. He uses state of the art techniques and protocols to help patients achieve their goals – from reducing pain and resuming an active lifestyle to enhancing sporting performance. A typical treatment with Simon usually includes spinal adjustments, soft tissue work and lifestyle advice/education (diet, exercise and supplements if needed). Many of his clients have seen numerous medical doctors of different disciplines – osteopaths, physiotherapists and other chiropractors – before being recommended to see him. Simon’s interest in chiropractic started with a back injury aged 13. X-rays, bone scans and MRIs were all reported as normal and he subsequently attended a chiropractor in Fareham and recovered. 10 years later he achieved his goal and qualified as a chiropractor.